It’s hard to believe that we are almost three months into the new year. 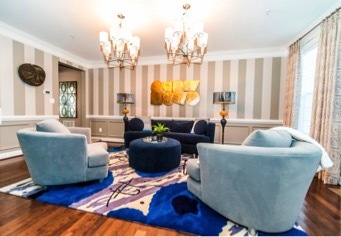 We have been busy making our client's dream spaces come to life and to do that we have been incorporating this year’s color trends into our designs. We have to say we are loving the variety of colors that are featured this year. Every year, companies like Sherwin Williams, Benjamin Moore, Pantone, and Valspar predict what colors are going to be trending for the upcoming year. Today, we are going to highlight five colors that will find their way into spaces we decorate this year. We’ll also show you some design inspiration on how these colors can come to life. 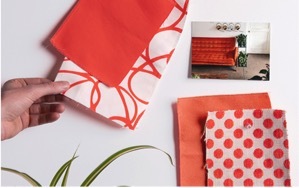 Sherwin Williams and Pantone have picked coral as one of their colors to watch this year. Coral Reef by Sherwin Williams and Living Coral by Pantone can brighten up any space. Pantone says, “it is a nurturing color that embraces us with warmth.” Coral is also an optimistic color that could work well in a home office or a child’s bedroom. Not full ready to commit to coral? Incorporate coral accents in a neutral living space. We love these fabrics that could make for great throw pillows or a runner for a dining room table. Hunter greens are making a statement in 2019. These greens are inspired by the outdoors and are designed to bring the serenity of nature into your home. 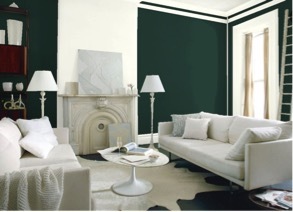 Pantone’s Night Watch and Benjamin Moore’s Hunter Green are great ways to bring this color to life. Hunter greens are best used in well-lit, large room since using it in smaller spaces can make the color look darker and the space feel smaller. Blue is a color to watch this year. 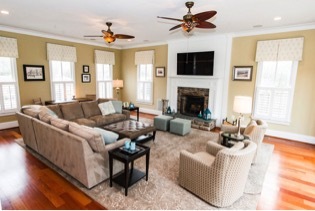 Softer blues create calm spaces that add a new dynamic without taking over a space. Blues with grey undertones, like Seattle Haze by Valspar and Healing Airy Blue by Pantone, are a great way to invite a serene energy into your home. This living room designed by our very own Bonnie Peet features misty blues paired with pops of gold, which makes for a relaxing contemporary space. Blushes like Blushing Bride from Valspar or Pale Pink Satin by Benjamin Moore are softer shades of pink that transform spaces into a timeless oasis that will never go out of style. This living room designed by Janet Aurora pairs dusty blush with shades of cocoa brown and white for a sophisticated space that’s perfect for entertaining guests. Warm neutral tones are always a staple in decorating palettes. 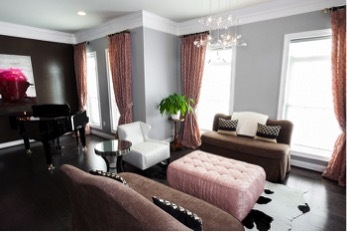 Try Benjamin Moore’s Metropolitan, Balboa Mist, Pashmina or Pantone’s Storm Gray to create a warm neutral space. The secret to preventing rooms anchored in neutral shades from looking bland and boring is to incorporate accent colors. Janet Aurora created cozy family room in this Alexandria home using soft taupe shades, added texture by selecting a microfiber sectional and a floral area rug, and added muted turquoise accents for interest. As you can see, 2019 will be filled with colors and there is certainly a color that fits your style. If you are just as inspired as we are by the 2019 color trends, let’s chat. We would love to hear how we can bring color to life in your spaces this year.